TV with Thinus: The SABC bans newspaper headlines being read on its TV channels and radio stations; says there is 'nothing sinister' about the move. The SABC bans newspaper headlines being read on its TV channels and radio stations; says there is 'nothing sinister' about the move. The SABC has placed a ban on the reading of newspaper headlines or discussing newspapers' front pages on the air in ongoing censorship creep at the South African public broadcaster, with the SABC rationalising the decision as giving free publicity to print media. The SABC says there's "nothing sinister" about the move. The SABC will continue to subscribe to and buy newspapers, it will just not mention any print media’s headlines and stories on air. The move comes after the SABC's highly controversial decision to start enforcing an immediate blackout of certain public protest visuals, and the abrupt canning of The Editors programme on SAfm this past Sunday after two decades without any prior notification in which newspaper editors talked weekly about newspaper stories and critically dissected stories making the news. Last month the SABC announced that the SABC "don't see a need to use print media" and that it will immediately stop advertising jobs and tenders anywhere else than through SABC channels. SABC spokesperson Kaizer Kganyago told Netwerk24 that the SABC no longer considers it fair to do "marketing" of newspapers. It's not clear how the decision will impact TV shows like SABC2's Morning Live looking at different newspaper front pages and stories and the weekly Media Monitor show on Sundays at 09:00 on SABC News (DStv 404) discussing newspapers. It's also unclear how the SABC will proceed with the journalistic convention of proper attribution where a newspaper happens to be the original source of a news story and credit reference is given in reporting by using "according to the" and "as and first reported by". Broadcasters worldwide bring their viewers and listeners a roundup of newspaper headlines and stories as media experts discuss stories in the news cycle, while electronic media often follow-up articles and comment on news that first appeared in print form. Kaizer Kganyago told Netwerk24 there's "nothing sinister" about the SABC's move. "Newspapers got publicity they haven't paid for. If newspapers want publicity from us they must buy it". 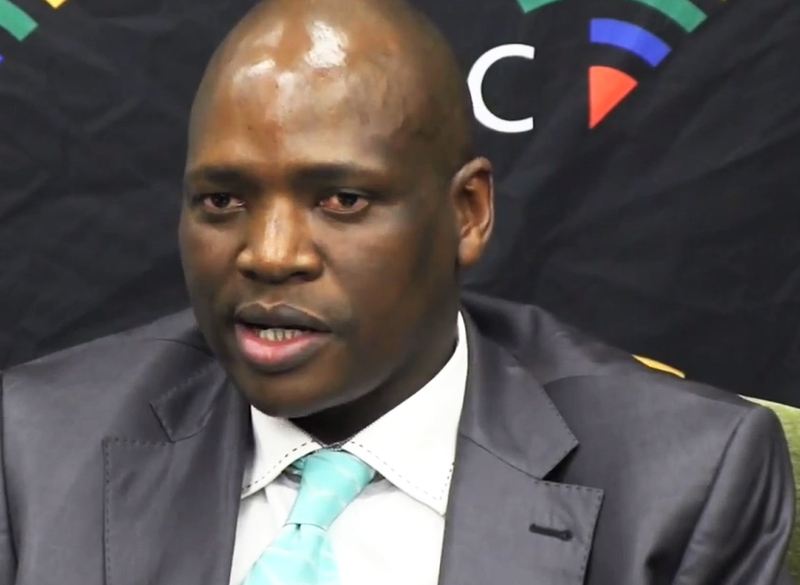 The past year the SABC's controversial chief operating officer (COO) Hlaudi Motsoeneng has publicly claimed several times that South African newspapers are "misleading the people", are "printing propaganda" and are only interested in covering "negative stories". Last month in a statement the SABC said it has decided that "it will advertise its employment vacancies and tender advertisements on the SABC's television, radio and digital platforms only. This decision will be implemented with immediate effect, henceforth, the public broadcaster will no longer place advertisements in any print". In reaction the Democratic Alliance (DA) political party in a statement said the banning of the reading of newspapers can only be viewed as yet another attempt by Hlaudi Motsoeneng to censor any negative news stories about the ANC ahead of the upcoming local government election. Phumzile van Damme, DA spokesperson said the move "is part of an ongoing programme driven by Motsoeneng to only portray 'sunshine news' about the ANC on SABC stations". "It is clear that through Hlaudi Motsoeneng, the ANC is controlling the SABC ahead of the election and will stop at nothing to ensure that South Africans are kept in the dark in the run-up to the elections". Hlaudi Motsoeneng, embroiled in ongoing court action over this appointment as COO, has until Friday to appeal the Western Cape High Court judgment refusing his leave to appeal. The Western Cape High Court originally found that Hlaudi Motsoeneng's appointment was unlawful and irrational. is an independent TV critic, writer and journalist in South Africa and reports breaking news about the TV industry. He writes trend and analysis pieces about the TV business and continues to write extensively about TV - chronicling what's on it and happening behind the scenes.